With graduation season approaching, a recent report pointed out that the employment situation for this year's Chinese overseas grads is worsening, as overseas students are no longer considered more valuable than their domestic counterparts. I myself, an overseas returnee, received my postgraduate degree from the University of Edinburgh in 2015 and, after returning home, attended numerous job interviews but failed to receive many offers. As such, I can attest that an overseas degree no longer provides Chinese grads with a competitive edge. A 2015 report shows that over 40 percent of postgraduate and undergraduate overseas returnees and 33 percent of doctoral graduate returnees earn less than 5,000 yuan ($759.48) per month. In comparison, in 2016, the average starting salary of local Chinese graduates is around 4,500 yuan per month. Considering the fact that most overseas students have invested hundreds of thousands of yuan in their education, which is far more than what local students pay, many feel underwhelmed by their low starting salary back home and wonder what the point of their elite education was. My friend who received a Master's in Journalism from a top-tier US university, complained to me that her starting salary at a TV station where she is employed is only 6,000 yuan. Her two-year education abroad cost her over 700,000 yuan. It is also taking overseas returnees a much longer time to find an ideal job due to having been out of touch with the local market. Statistics show that in 2015 only 37 percent of overseas students found a job within their first month back. I started my online job hunt in June of 2015 while I was wrapping up my postgraduate courses in the UK. The moment I landed in China in mid-September, I began interviewing. But I didn't receive any ideal offers until November. A majority of my Chinese classmates from the UK also spent at least three months pounding the pavement. A few are still unemployed. Which begs the question: why have overseas Chinese students lost their advantage in the domestic job market? One reason is that the number of overseas returnees has surged in just the past few years. According to 2015 statistics released by the Chinese Ministry of Education, approximately 79 percent of overseas students choose to go back to China to develop their career, but this influx has made their foreign degrees less eye-catching to Chinese firms than, say, a decade ago. 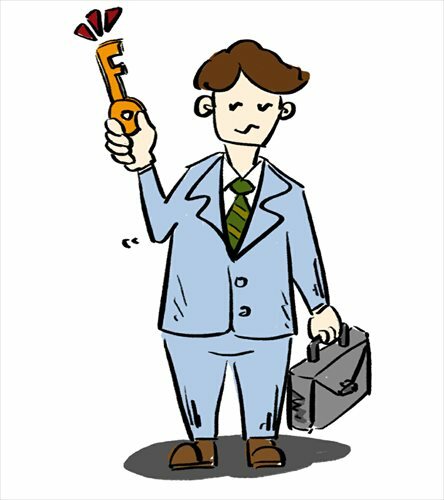 Based on my own experiences interviewing with domestic recruiters, I'd also suggest that Chinese employers now care more about applicants' professional knowledge, soft skills and industry experience rather than their "experience abroad," which is often all that studying at a foreign university offers. For instance, I applied for an English teaching position at a reputable high school in my home city of Hangzhou, Zhejiang Province. My undergrad and Master's majors in English translation and interpreting should have made me a shoe-in. But it turned out that locally educated applicants who had some practical work experience in education were preferable. This was verified by a local college, where I also applied but was rejected because, the recruiter said, "applicants must have an education background and internship experience." Compared with domestic grads, overseas returnees are also at a disadvantage in terms of job opportunities. Professors at Chinese universities usually have industry connections and inside job information which, along with a friendly recommendation, can put local students on the fast track to being immediately hired. A friend who studied nuclear engineering at Shanghai Jiao Tong University entered a local nuclear research institute right after graduating thanks to the recommendation of his supervisor. In contrast, none of my foreign supervisors in the UK had any guanxi (special relationships) with Chinese firms, leaving it up to my own diligence to find opportunities. Though an overseas education, and the experiences that come with it, does expand one's global vision, it might not bring any tangible benefits at the job-seeking stage. So to any students considering studying abroad, don't expect to be able to rely solely on a name-brand university. Develop soft skills while you are there, intern in your field, and cultivate some industry connections. A degree is no longer enough!